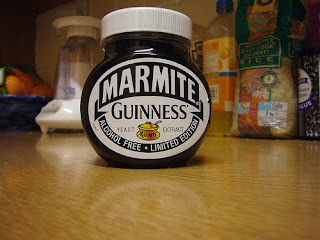 Back for another year, just in time for St Patrick's Day is that Marmite Guinness special - can't decide which side of the fence i'm on though! Absolutely loving the packaging and great for a gift for anyone. I'd buy it just because it would look oh, so pretty on my kitchen shelf but would i eat it? No. Sadly i'm not a fan but admittedly i'd buy it because of it's Irish theme - would you?? A little too much chocolate is just about right! Don't know what you've got 'til it's gone!